There are a large number of interesting and informative websites dealing with the Shoah. It seems almost impossible to make a sensible list of all these websites. Besides some very extensive link portals already exist on the internet, on which a large number of websites are brought together, sensibly catagorized with a description of the linked website. Therefore you'll find a number of links leading you to specific categories of one of these webportals. Websites dealing with the life of Anne Frank, her family and her famous diary. Family search Visit these sites and learn how to go about finding a person. Genealogy Website dealing with Jewish genealogy. German camps in Austria Websites dealing with nazi concentration camps in Austria. German camps in Belgium Websites dealing with nazi concentration camps in Belgium. German camps in Czechoslowakia Websites dealing with nazi concentration camps in Czechoslowakia. German camps in France Websites dealing with nazi concentration camps in France. German camps in Germany Websites dealing with nazi concentration camps in Germany. German camps in Italy Websites dealing with nazi concentration camps in Italy. German camps in the Netherlands Websites dealing with nazi concentration camps in the Netherlands. German camps in Poland Websites dealing with nazi concentration camps in Poland. German camps in Romania Websites dealing with nazi concentration camps in Romania. German camps in Russia Websites dealing with nazi concentration camps in Russia. German camps in Yugoslavia Websites dealing with nazi concentration camps in Yugoslavia. Ghetto's Informative website on ghetto's throughout the Third Reich. Websites dealing with Holocaust denial and deniers. Holocaust education Educational websites and sources on the Shoah. Holocaust era assets Websites on the issue of the Holocaust assets and information on how different countries handle the claims. Holocaust images Photographs and other material that shows the attrocities committed against Jews, Roma, homosexuals and other groups persecuted by the nazis. Holocaust museums Websites of Holocaust museums. 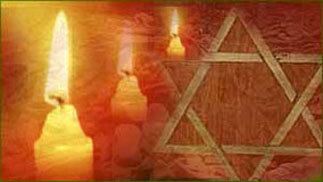 Holocaust news Database with Holocaust, Holocaust related or Israeli news items. Holocaust resources More information? Visit this category. Holocaust victim search Database with names of Dutch Jewish victims of the shoah. Kristallnacht Websites dealing with the Night of the Broken Glass. Liberation of Auschwitz Vernichtungslager or extermination camp Auschwitz liberated and the horrors found upon its liberation. Nazi trails A few websites with information on trails of perpetrators. Persecution Not only Jews fell victim to the nazis. More ethnic groups were regarded as 'Untermenschen" and persecuted because of this. Personal accounts Stories of and by survivors of the Holocaust.